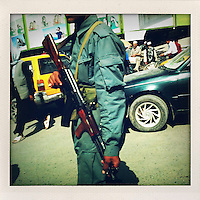 Working on assignment for an NGO in Kabul this summer, I found out what it means to work under the auspices of a security-conscious international organisation in times of conflict and unrest. 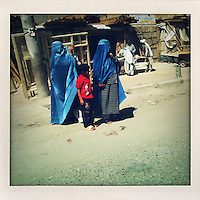 My task was to document the lives of a number of inspiring Afghan women, among them an activist, an MP and a businesswoman. 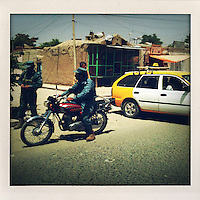 As I met each of them in turn, I was driven around the city in a locked four-wheel drive with a local security guard at my side. 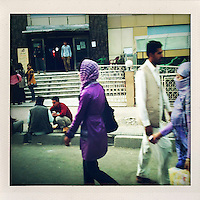 It was a strange and surreal experience to be whipped around the city without being able to walk the streets or even, as I sometimes do, hang out of the car window to shoot pictures. 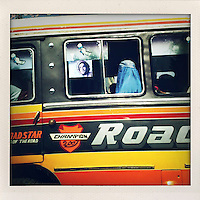 This would be seen as drawing too much attention to us in a place where kidnap and robbery are considered a real danger. 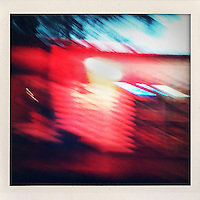 The city as I glimpsed it through the car windows seemed to be back on its feet, functioning and busy, and I used my iPhone to capture flashes of the street life I was unable to experience. 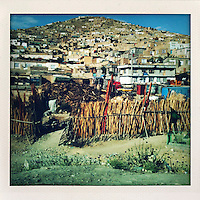 Being unobtrusive, it seemed like the right tool with which to record the view from my confined and constricted perspective. 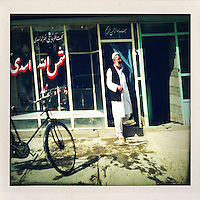 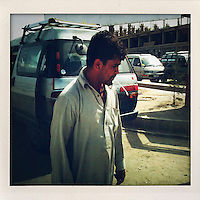 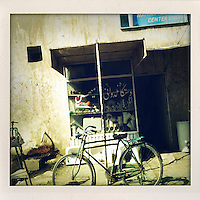 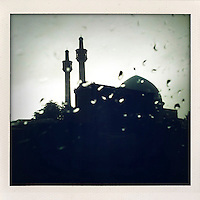 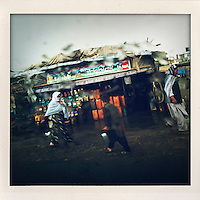 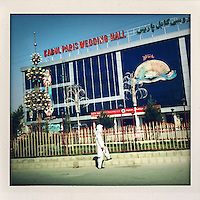 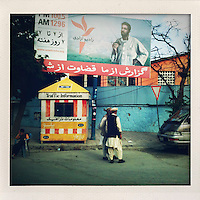 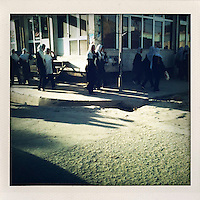 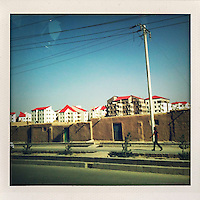 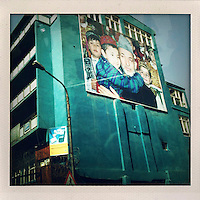 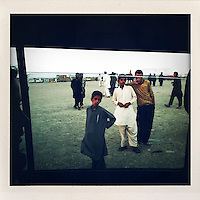 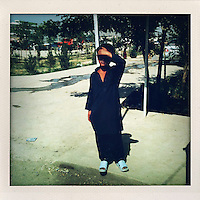 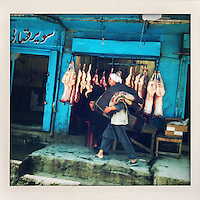 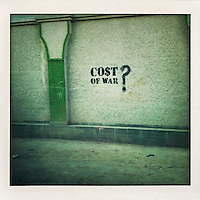 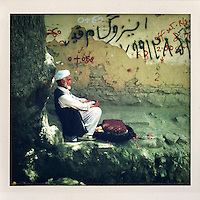 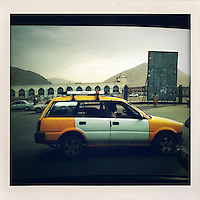 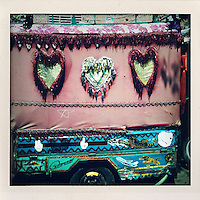 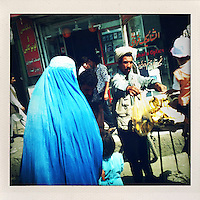 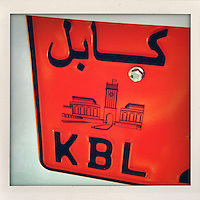 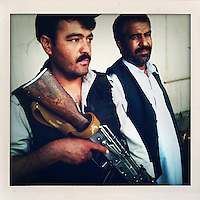 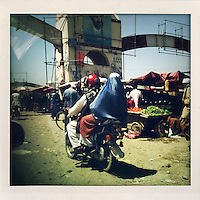 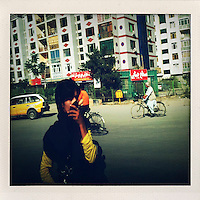 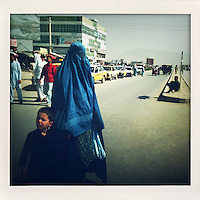 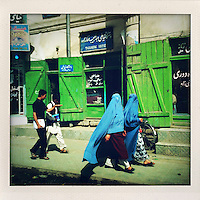 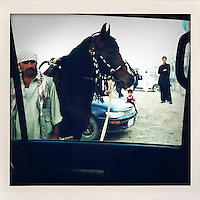 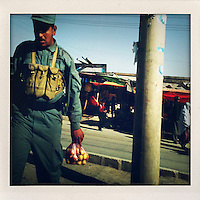 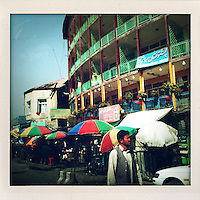 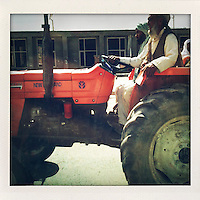 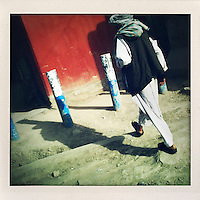 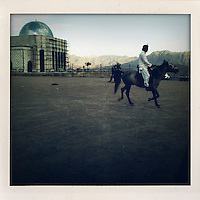 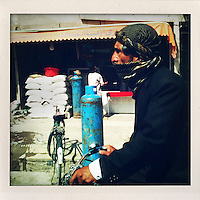 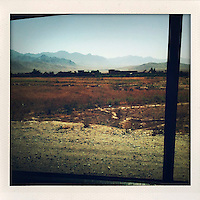 The fractured moments that make up this visual diary fuel my memories of Kabul. 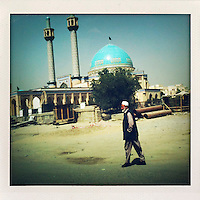 They conjure up the feeling of a city that despite rapid reconstruction and recovery is still disjointed and fragile.